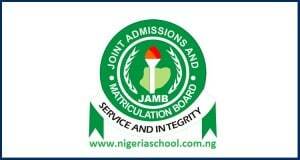 The Joint Admission and Matriculation Board, JAMB Result for 2019/2020 is out. You can check your JAMB UTME Result online yourself without the use of scratch card. It’s EASY and FREE. Note: JAMB 2019 Results are not out yet……. The Joint Admission and Matriculation Examination Board (JAMB) has said that the results for the 2019 UTME are now ready and available online. The JAMB UTME Results has been sent to your email and mobile phone numbers used during registrations. Also, you can check your Jamb Score using your Jamb RegNo only. Please see the link above or at the end of this post. Ads: StudentCamp.com.ng team will be available to check your Result for you. JUST CLICK HERE and Drop your Registration Number in the Comment box. Ads2: Drop your JAMB RegNo at Guide2Nigeria and they will do well to check your result and answer any questions you may have. [Update] See How to Check Your Jamb UTME CBT Result Online for FREE. You can check your Jamb 2019 Result yourself with Mobile Phone or Laptop. Follow the Guide provided below. Here are some of results of candidates we have checked. On this note, all 2019/2020 UTME candidates who are yet to check their results due to network problem, wrong email address and password, etc (Read: Reasons why UTME candidates have not seen their results), can now do so. Important Notice: Only Candidates, who have written their examination 1 to 3 days before are expected to see their results online but if you see the message “You Do Not Have Any Result Yet”, please keep checking everyday. The nigeriaschool.com.ng team wishes you all the best as you check your results. Drop your Jamb Registration Number HERE and we will check your Result for you. JAMB Released all Withheld UTME Results. Yes! You have a good chance. Why is it showing half? Are you accessing it from a PC or mobile phone? Legend K you guys are doing a marvelous Job. I have been following your updates on JAMB and other educational related issues, I must commend your tenacity and real-timeliness. Weldone. Additionally, you may need to guide some persons on this page who may fall prey to fraudsters, cause I can see the gullibility in some of them. Keep up the good work, and God bless. Meanwhile, could you confirm the format for admission consideration this year, is it the newly introduced JAMB formula or the the old cut-off + Post UTME screening method. We do our best to let the prospective students know that Jamb upgrading and other frauds is not possible. It could be the old formula. cutoff+admission screening. But we are not sure yet. What is the cut-off for Law in University of Uyo? Also keep us posted on updates of the various university admission details. Thank you. I await your timely response. Last session, the cutoff mark for Law was 200. We don’t know of this year own yet. We can now check your result without your login details. Please see the newest post on nigeriaschool.com.ng homepage and drop your Jamb Number to check it for you. my results keep on displaying, no results yet, while those that i wrote before them have seing theirs, what is happening? I wrote jamb on Saturday 13 at 1:30 pm till today there are still telling me you did not have any result yet. pls help me is it that they will not release the result or how??? Please keep checking. Jamb will make an official report on why some candidates are yet to see their results after the examination. Please contact JAMB ASAP. Go to Jamb website and chat with them, if they are online or send them a message. Sir please I sent my details but have not received reply.. Your login details are still not working. We get “Invalid e-Mail Address or Password. Try Again” when trying to login. Please keep checking. A lot of people who wrote on 13th May are yet to see their results. And you can now check your 2017 UTME Result with Just your Jamb Registration Number.